Authentic, high quality, Black Forest MECHANICAL clocks. 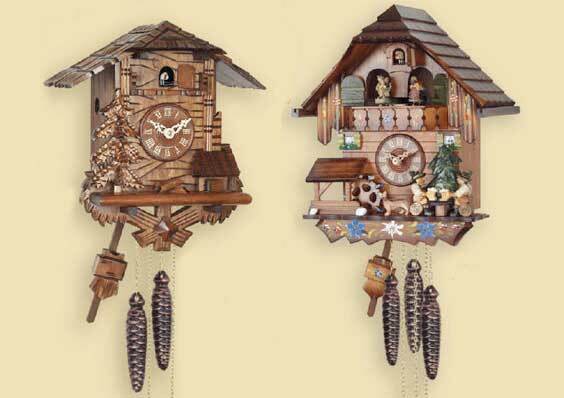 Cuckoo clocks and Alpine chalet clocks traditionally carved from solid wood. Cast iron weights. Brass mechanical movements.